Merry Christmas to all! Whether you’re spiritual, religious, or neither, this is an important holiday. Whether you are Christian or not, this day can be meaningful for all. I think the principles of Christmas (peace on earth and good will towards all people) can hold true for everyone. If we can be more decent with others and more compassionate towards ourselves, my view is that this world will change. So, on this Christmas, consider the principles of Christmas? And start with ourselves. If we are not at peace with ourselves or show good will towards ourselves, we cannot with others. It is impossible to give what we do not already possess. And, do so for more than one day. For Catholics, Christmas is not a single day but is a multi-day event. Christmas lasts from December 25 to January 6, which is the Feast of the Epiphany, when the three magi visit the Christ Child. Wherever you are, my best wishes to you for a restorative and peaceful holiday season. Last, for Patriots Nation, here is a Christmas gift. 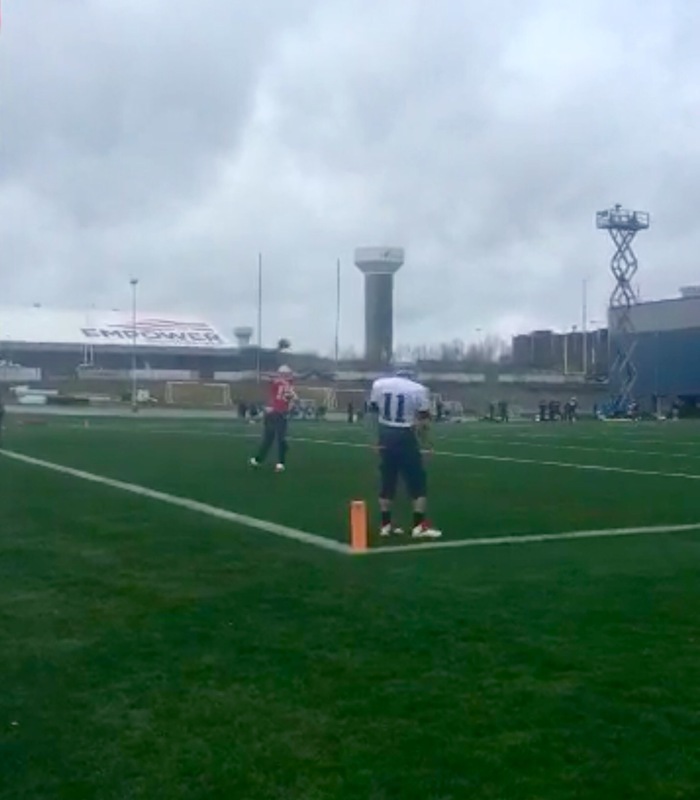 It is a photo of TB12 yesterday throwing to Jules.